Beautifully situated in the heart of Tallyn’s Reach. From the moment you walk in you will notice gleaming hardwood floors and an open floor plan! Entertaining is made easy in the formal living and dining rooms! Cook up a feast in the gourmet kitchen which offers double ovens and 42 in. crown molded cabinets with roll out shelving. Master suite presents a private balcony, and luxurious 5-piece bath as well as a custom walk-in closet. 3 secondary upstairs bedrooms and 2 full guest bathrooms. Unfinished basement allows your own touch! High quality Writer built home, one of the original premier builders in Tallyns Reach. 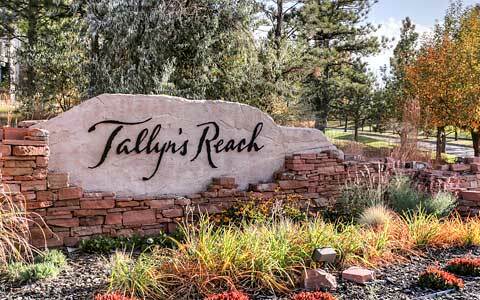 Tallyns Reach is in the highly acclaimed Cherry Creek School District. Enjoy miles of trails, ancient Ponderosa pines, a stunning park with amazing views, an Olympic sized swimming pool, kids Water Park, tennis courts and so much more. Conveniently located near the Southlands Town Center, DIA, Denver Tech Center, Park Meadows and easy access to E-470.